Marie-Claude Bibeau confirmed the Chinese government's move during her appearance before a parliamentary committee studying a trade dispute that has seen China suspend the canola-seed sale permits of two other Canadian firms. "We've been informed that there's a third company that received a non-compliance notification," Bibeau said, though she wouldn't name it. "It doesn't mean that they're suspended, either, at this time. So, we will obviously keep working with them and see how it goes." 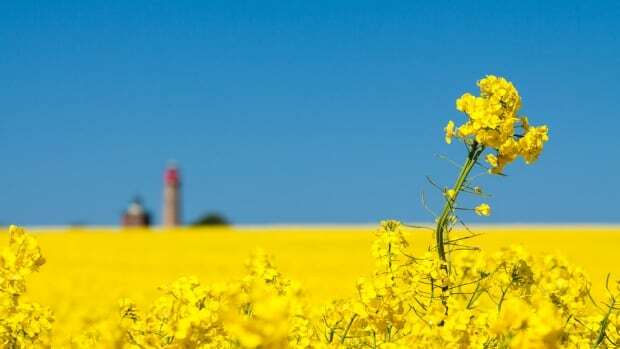 China's moves to choke off Canadian canola-seed imports have been widely viewed as the superpower applying economic pressure on Canada following the December arrest of senior Huawei executive Meng Wanzhou in Vancouver at the behest of the United States. Curt Vossen, the CEO of Richardson, told another House of Commons committee Tuesday that canola products alone were just over 15 per cent of all of Canada's exports to China and, last year, were worth more than $4 billion. As the federal government searches for that solution, it's been trying to find new markets and cabinet ministers have been touting Canada's recently ratified trade deals with the Asia-Pacific region and the European Union. "If the current disruption continues over the longer term, we will have no choice but to find other markets for Canadian canola seed, however doing so will be no easy task," said Vossen. "While we are confident that we can eventually find other markets, it will not be a painless exercise." He urged the federal government to be "more aggressive" in defending the interests of Canada's agriculture exporters in China and around the world, where they're facing trade barriers in several jurisdictions. "To say that canola is important to Canada's trading relationship with China would be a gross understatement — canola and, indeed, the entire grains and oilseeds complex is the foundation of Canada's trading relationship with China," he said, noting the disruption comes at a critical time right before seeding season, when farmers are deciding how much to grow. On March 1, the same day China suspended Richardson's licence, Canada's Justice Department gave the go-ahead for the extradition case against Meng. In the days following Meng's arrest, China arrested Canadian citizens Michael Kovrig, a Canadian diplomat on leave, and Michael Spavor, an entrepreneur, on allegations of engaging in activities that have endangered Chinese national security.